I’ve not written a post in almost a week. I also haven’t slept, showered or brushed my teeth. The Max has been ordered to feed himself and I have no intention of rescuing the cat who is dangling from a high branch in a pine tree outside. These are part of the consequences of my new dirty dirty addiction the iPhone application, Angry Birds. I downloaded the free version, as it was well reviewed and I figured The Max might enjoy playing. After one round of green pig killing I had to have more and I forked over the 99 cents to my dealer. Just as with crack cocaine, the sample is free. Here’s a thought: Buy this game for crack heads and junkies and for surely they will overcome their addiction to narcotics as they can’t put the game down to get their fix. Perfect. The war on drugs is solved. 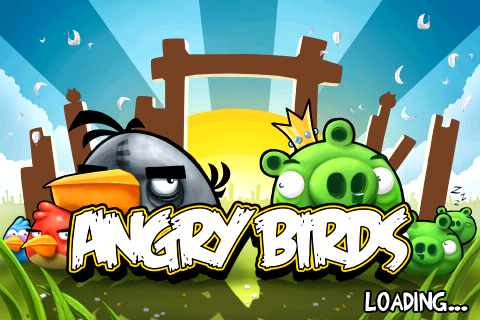 This entry was posted in Blogroll and tagged angry birds, iPhone, Video Games. Bookmark the permalink.